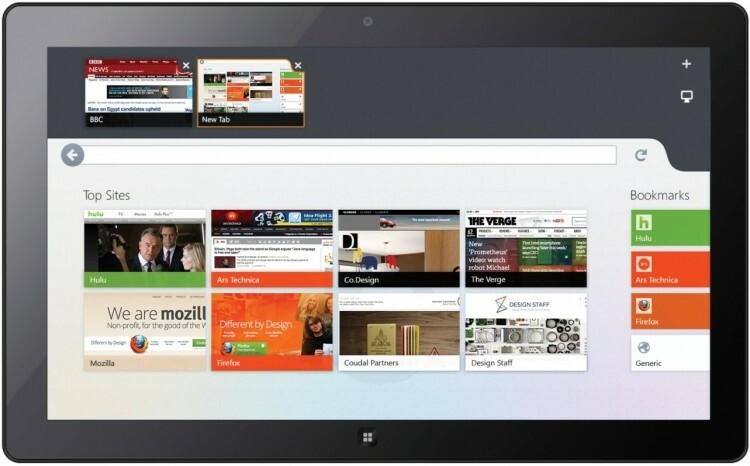 Mozilla's Modern UI web browser for Windows 8 has once again been delayed to give the team more time to iron out bugs. Originally announced nearly two years ago in February 2012, the Modern UI interface is expected to launch with Firefox 28, scheduled for a March 18th release. The long development of Firefox for Windows 8's 'Modern' UI has seen it enter the nightly channel in February 2013, and the Aurora beta channel back in September. Mozilla was originally targeting Firefox 27 as a launch for the Modern version, however more issues discovered in the beta phase has seen that target pushed back. The new web browser will act as a replacement for Internet Explorer in the Modern UI, with support for swipe gestures, snapped views, Share Charm integration and Firefox Sync. It's powered by Mozilla's Gecko rendering engine - the same that's used for the deskop version of the browser - and supports WebGL, hardware accelerated HTML5, H.264 and WebM. As well as the delay for the Modern UI version of Firefox, Mozilla has pushed back the entire Firefox release schedule by two weeks so that employees can have some "much needed time off". This means we'll be seeing the next version of Firefox on February 4, rather than January 21.